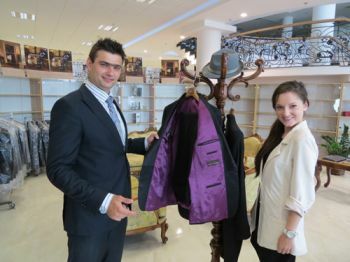 The designer from Poland Kinga Luks visited Richmart factory this week. 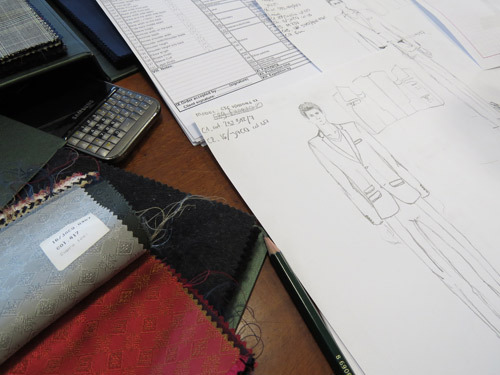 There she had some training in men's custom suits measurements and she started designing her menswear collection. The models will be ready in about two weeks and they will be presented on the Poznan fashion fair in Poland in September. Kinga is very happy that she joined the Men's Style project. Her models will be produced absolutely free of charge from high quality Italian fabrics. All advertising and sales of the models will be supported entirely by the Men's Fashion Cluster.